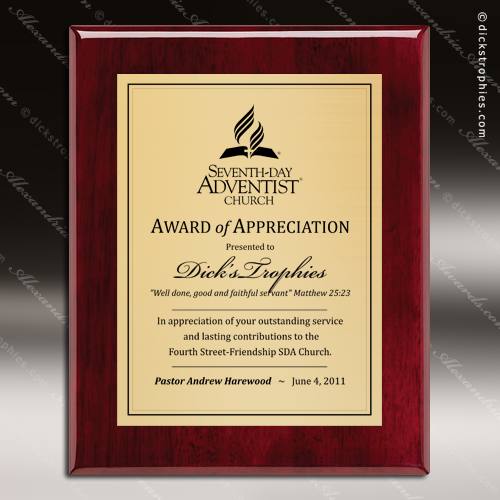 Elegant rosewood stained high gloss piano finish plaque with gold, silver, or copper plate. Elegant rosewood stained high gloss piano finish plaque with black brass engraving plate bordered with gold. 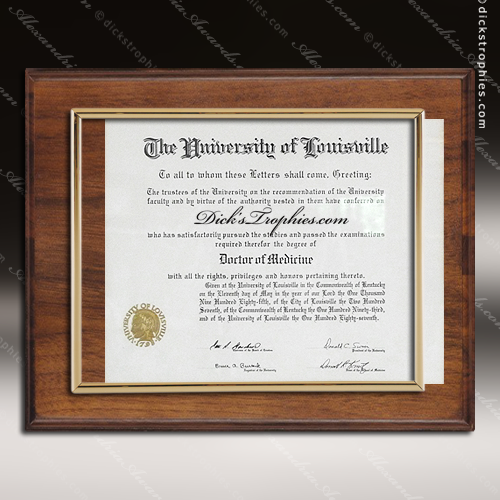 Elegant rosewood high gloss piano finish plaque with gold or silver slide-in certificate frame. 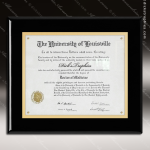 Slide-In frame has a clear protective window made of Lexan for added durability and protection. 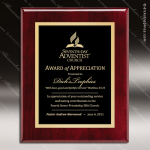 Cherry finish laminate plaque with gold, silver, or copper plate. 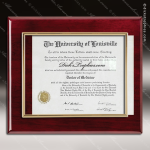 Cherry finish laminate plaque with gold or silver slide-in certificate frame. 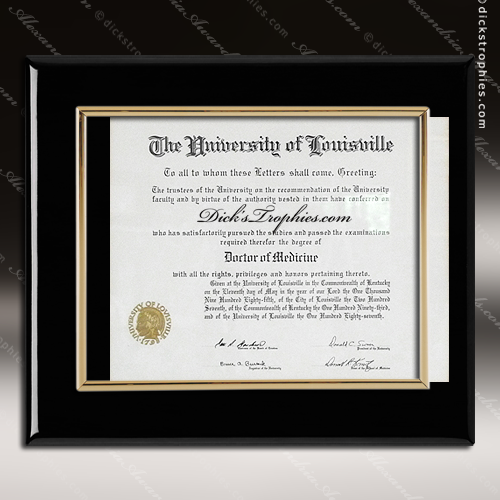 Slide-In frame has a clear protective window made of Lexan for added durability and protection. 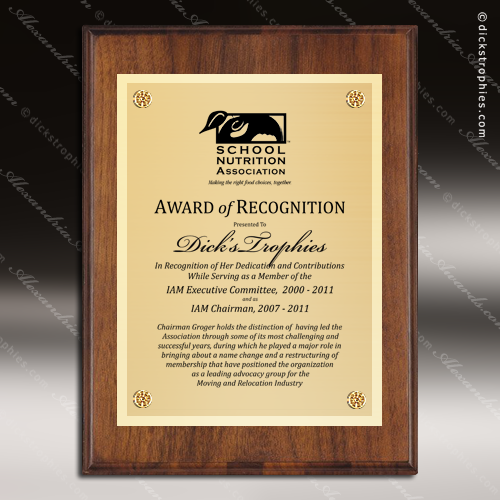 Solid american walnut finish plaque with gold, silver, or copper plate and coordinating color border, screws and rosettes. 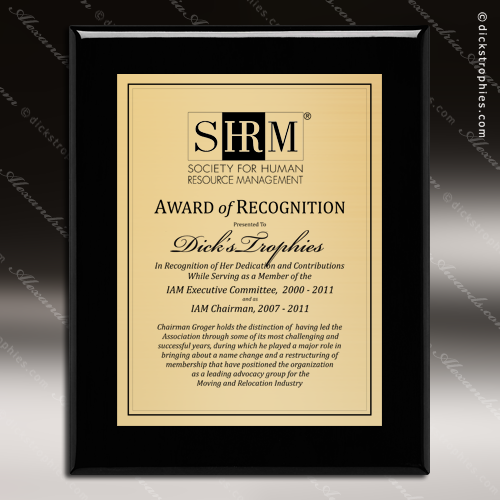 Solid american walnut finish plaque with gold or silver slide-in certificate frame. Slide-In frame has a clear protective window made of Lexan for added durability and protection. Solid american walnut finish plaque. 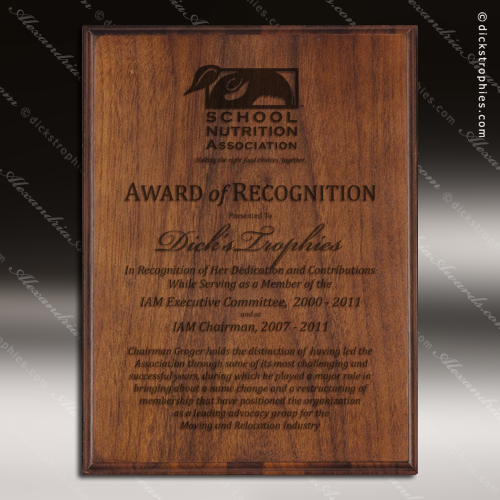 Laser etched with black fill. Individually boxed.